Lexington, KY (October 25, 2017) - The United States Dressage Federation (USDF) is pleased to congratulate all of the winners of the 2017 GMO Awards, which will be presented during the Board of Governors General Assembly at the 2017 Adequan®/USDF Annual Convention, in Lexington, KY. These awards are given annually to recognize outstanding achievement within USDF's GMO community. Recognition is given in the following categories: GMO amateur photograph, website user experience, newsletter first person experience and general interest articles, and creative GMO-sponsored program. USDF also recognizes outstanding volunteers at the regional level along with the recipient of the Ruth Arvanette Memorial Fund grant. The United States Dressage Federation (USDF) is pleased to announce that the Albers Award perpetual trophy was awarded to Region 3 Chef d’Equipe Sue Bender, at this year’s USDF North American Junior & Young Rider Dressage Championships, as part of the Adequan®/FEI North American Junior & Young Rider Championships presented by Gotham North (NAJYRC). “To say that Sue Bender is devoted to her Region 3 teams is an understatement. She works tirelessly, all year, to give the athletes the best NAJYRC competition experience that she can. She never stops advocating for her teams. She truly demonstrates what the Albers Award seeks to reward,” stated Roberta Williams, USDF FEI Jr/YR Committee Chair. The Albers Award is named in honor of long time USDF Region 1 Chef d’Equipe, supporter, and good friend, Patsy Albers. The award is presented annually at the USDF North American Junior & Young Rider Dressage Championships, to the dressage chef d’equipe who best demonstrates the same level of dedication, enthusiasm, and team spirit shown by Patsy, throughout the years. The award is open to all of the dressage chefs d’equipe, and any competitor or chef d’equipe can nominate a candidate by submitting a written explanation as to why that chef deserves to win the Albers Award. The NAJYRC is the premier equestrian competition in North America for junior and young riders, age 14-21. Young equestrians vie for team and individual FEI medals in the three Olympic equestrian disciplines of show jumping, dressage, and eventing, the Paralympic discipline of para-dressage, and the FEI World Equestrian Games disciplines of reining and endurance. 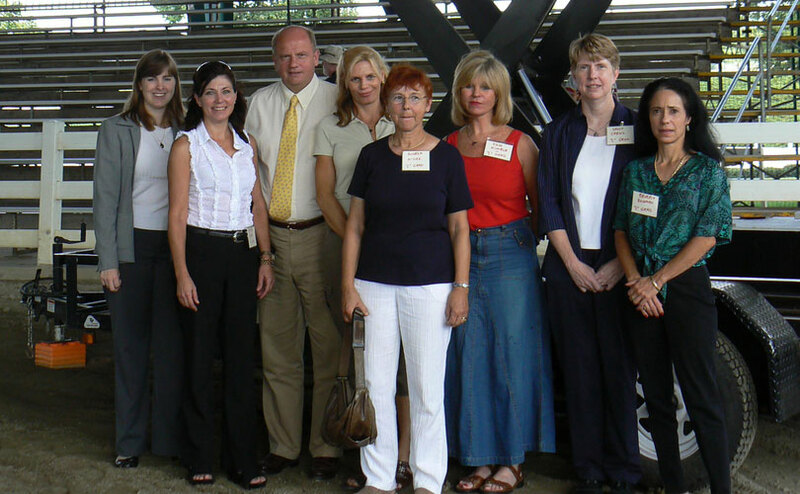 Founded in 1973, The United States Dressage Federation is a nonprofit membership organization dedicated to education, recognition of achievement, and promotion of dressage. For more information about USDF membership or programs, visit www.usdf.org, e-mail usdressage@usdf.org, or call (859) 971-2277. The Dressage Foundation is participating in Lincoln, Nebraska's "2017 Give to Lincoln Day" once again, and we are asking your help in sharing this with your dressage contacts and clubs. From May 1-18, any donation made through https://givetolincoln.com/nonprofit.html?id=dressage_foundation_inc_1 will be proportionately matched by the Lincoln Community Foundation, EVEN if you aren't in Nebraska! This means that your dollar will do MORE good for our dressage community. The 2016 US Dressage Finals presented by Adequan and USDF Dressage in the Bluegrass are to be held at the Kentucky Horse Park, November 10-13. Start making plans to attend and view the official 2016 prize list, along with other information, at www.usdressagefinals.com. USDF News! EXTENDED DEADLINE FOR HALL OF FAME, LIFETIME ACHIEVEMENT, AND MEMBER OF DISTINCTION NOMINATIONS! Nominations have been extended, through May 15, for the Roemer Foundation/USDF Hall of Fame, Lifetime Achievement Award, and our new recognition award – Member of Distinction. Visit the Roemer Foundation/USDF Hall of Fame for nomination information and criteria. 1. 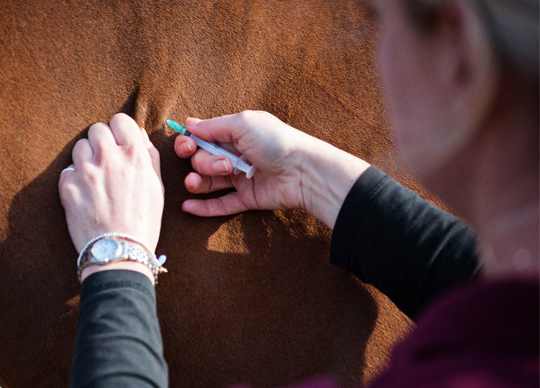 At Federation licensed competitions, horses entering the grounds must be accompanied by documentation of Equine Influenza Virus and Equine Herpes Virus (Rhinopneumonitis) vaccinations within six months prior to entering the stables. Horses not in compliance with this rule may be required to leave the competition grounds upon request by Competition Management. Documentation should consist of one of the following methods mentioned below. The frequency of vaccine administration should be per the vaccine manufacturers’ or veterinarian’s recommendations. It is recommended that vaccines are administered by or under the direction of a veterinarian. 2. In the case of vaccines administered by a veterinarian, the exhibitor, upon request by Competition Management, must provide documentation from the veterinarian on documenting that the horse in question received the vaccinations; name of the vaccines and date of vaccine administration. 3. In the case of vaccines administered by a person other than a veterinarian, the exhibitor, upon request by Competition Management, must provide a receipt of the vaccine purchase which is signed by the owner, or agent with care, custody, and control of the horse; name, serial number and expiration date of the vaccine; and date of vaccine administration. 4. In the case of a horse that is unable to receive either of the vaccinations due to a history of adverse reactions, the exhibitor, upon request by Competition Management, must provide a letter from the veterinarian on official letterhead stating that the horse in question cannot be vaccinated due to medical concerns and a log of temperatures taken twice daily for the seven days prior to entering the competition grounds. These horses must also have their temperature taken and logged twice daily while on the competition grounds. The log of temperatures should be provided to the Competition Management, steward, or technical delegate when requested. 5. Competition Management may not amend or enhance vaccination requirements without prior approval of the Veterinary Committee. BOD 1/17/15 Effective 12/1/15. IRIDE Presents: Master Trainer HENK ven BERGEN Dressage Clinic to be held on May 10-12, 2016 at Sky's Haven Stables in Guntersville, AL. Henk van Bergen is a Dutch Master Trainer. He worked his way up through the ranks of the Brakkenstein Dressage Stable as a young man, and he eventually purchased the beautiful property, developing the business into a successful dressage training facility, as well as the host site for the Dutch National Championships for over 20 years. He became a Royal Dutch Certified Instructor in 1966, and some of the highlights of his career include the following: He first coached the Dutch Olympic Team in 1972, and they won the Silver Medal in the 1992 Barcelona Olympics. He also coached several private students in the 1984 Los Angeles Olympics, and coached the Japanese Dressage Team at the 1988 Seoul Olympics. He was hired by the British Dressage Team to coach their National Young Rider's Developing Team from 2002-2010, and was part and parcel of the development of the 2012 British Olympic Team, who won the Gold in the 2012 London Olympics, denying the German team the gold for the first time in decades! Henk has been a popular clinician here in the USA, and was the USDF clinician for the USDF Adequan FEI Level Trainers Symposium in 2009 and 2010. Currently, he sites on the FEI Judges Supervisory Panel, which was created by the FEI in 2011 to ensure the consistency and accuracy of international judging as well as to provide an additional level of monitoring at major FEI Dressage Events, including the World Cup, the Pan Am Games, and the Olympics. He gives regular clinics in England, Spain, and the United States. USDF continues to use many of his training videos for its E-Trak Online Education Series and for their USDF Instructor Certification Required Reading List. His articulate, humorous, kind and classical approach to training horses and riders of all levels is the reason for his continuing popularity as a clinician worldwide. USDF is developing a new publication called "Your Dressage" which will feature human interest stories and articles. USDF is asking all GMO members to submit personally written articles about their experiences or activities to USDF! USDF also welcomes you to submit photos and/or videos of club events. These photos and videos can range from candid to professional. USDF can't guarantee that all stories or articles will be published, but all will be kept on file for possible inclusion in the publication. If you are interested in submitting a story or article for consideration, please complete the Editorial Release Form (which must also be submitted for photos and videos) and send it, along with the article (in Word format) and any photos/videos, to epubs@usdf.org. USEF has over 84,000 members and currently recognizes 11 breeds and 18 disciplines that fall under the Federation’s rules and regulations.